Bring a smile to their face with 25 Long Stem Roses. 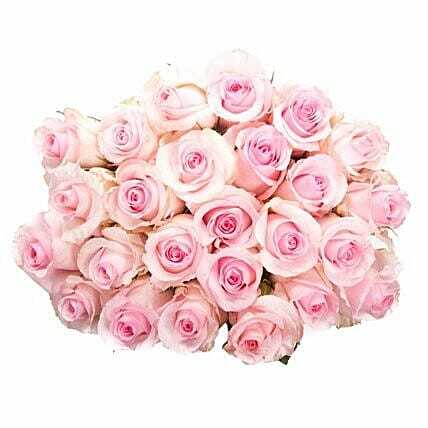 Pink roses are often a symbol of elegance and grace, given to those you admire. A great gift for your sweetheart, grandmother, or co-worker alike! When you order fresh roses from Ferns N Petals, you buy roses that will make a lasting impression! These fresh flowers are hand selected from our farms and shipped direct to your door. Looking for fresh roses that are bright, beautiful, and ready to bloom for your occasion? Buy roses today that are sure to please!